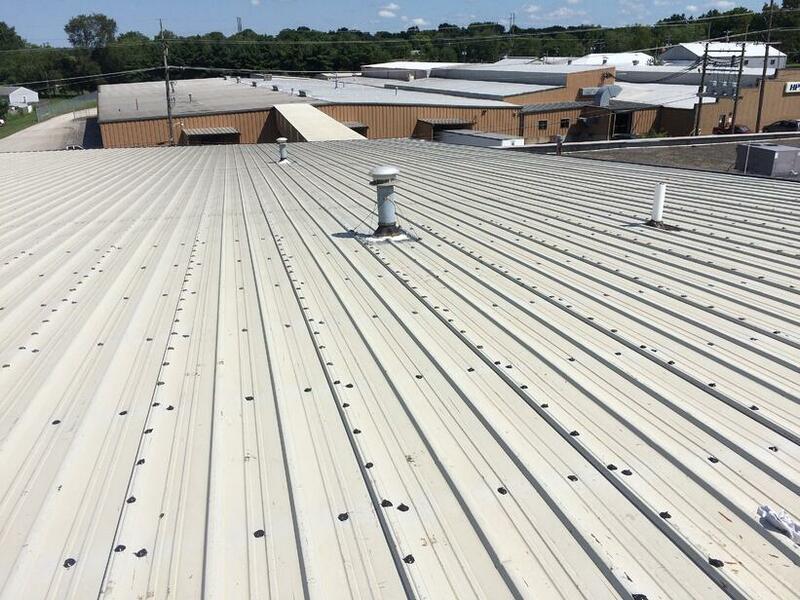 The large sections of metal roofing on its multiple buildings has leaked on and off for years causing Seymour based manufacture Home Products to move office space, warehouse space and machinery around the persistent drips. Home product is the nations largest iron board manufacture making products for Walmart, Sam’s Club, Costco, and Target, just to name a few and every inch of space is needed and required for operations. A major area of concern were the many leaks in the product demonstration conference loft. These leaks not only meant time consuming for clean up and ceiling tile changing after every rain, it was an embarrassment when potential customers and clients visited home products for demos. 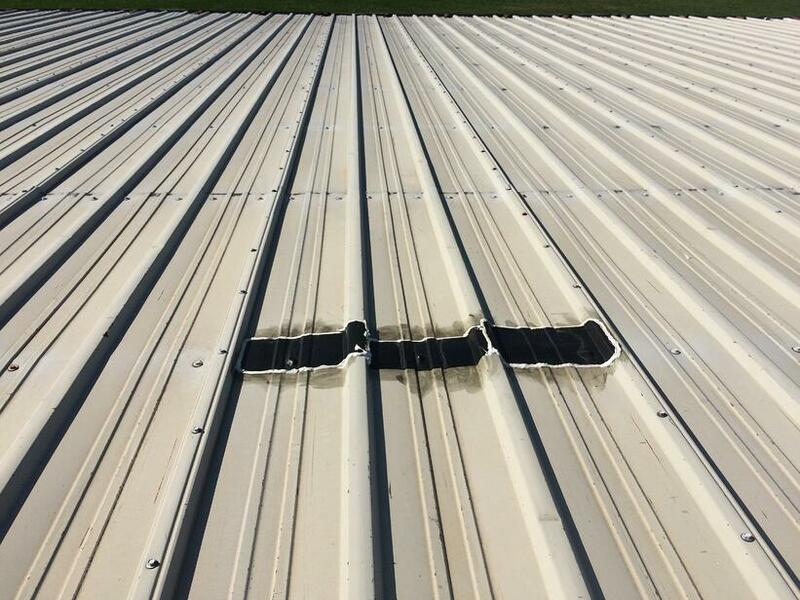 Multiple metal roof repair attempts were made by local roofing contractors in the Seymour, Indiana area without success. 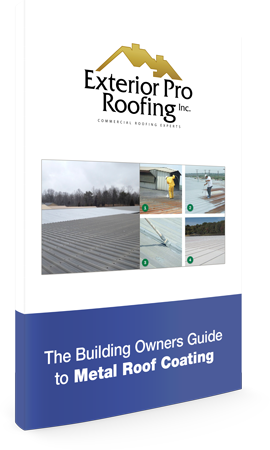 That’s when Home Products reached out to Exterior Pro roofing. 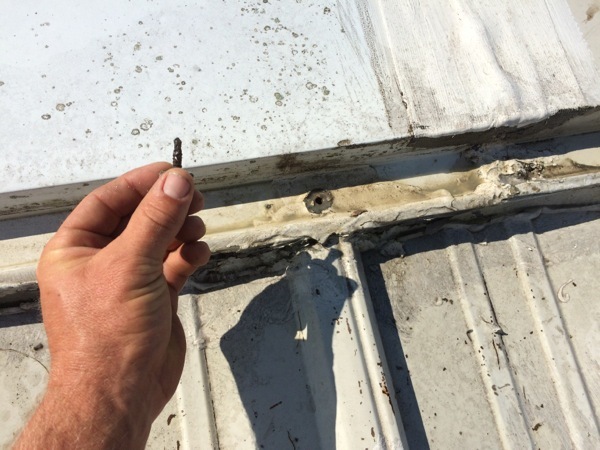 At first, when we told our commercial roof repairman that he needed to go look at a building in Seymour that other roofing contractors hadn't been able to fix and he seemed concern, as these types of leaks that elude multiple roofing contractors are often mystery leaks and can be very difficult to fix. Our roof repairman Aaron said, “ Each time I go out to do service work my reputation and credibility as an expert roofer is on the line, I pride myself on being very good at my job and I hate to fail”. He put his leak hunting skills to the test and after he returned from the roof evaluation his mind had changed, he was certain he could fix the leaks that had baffled the other Seymour based roofing contractors. We asked him what he found and his only reply was that he had went to Home Products with the “eye of the tiger “ and could fix the leaks. 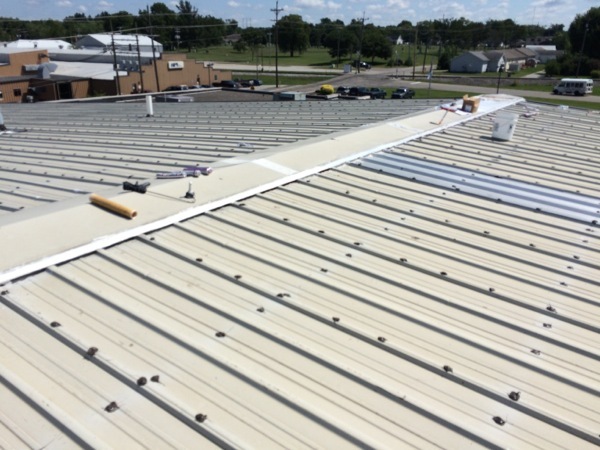 We scheduled Aaron and a small crew and sent them to Seymour on a hot and sunny day with plenty of material to repair the large metal roof. In just 6 hours, our small crew had identified the source of the leaks and had permanently stopped water from entering the conference room loft. The next heavy rain we check with Home Products to see if indeed the leaks had stopped and sure enough they were completely dry. 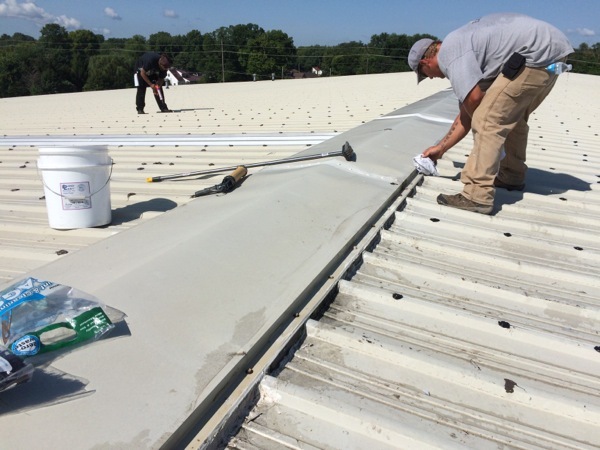 At Exterior Pro Roofing we like to say that we’ll only ask for your business one time then after that we’ll earn your business every time we send out our crew to your facility. That is the case with Home Products in Seymour, as we already have more metal roofing repairs scheduled for 2016.